SEGA Ages kicked off the weekend with a new announcement for Switch owners. Starting this summer, SEGA and M2 will be publishing classic games on the eShop. Sonic the Hedgehog, Phantasy Star, Thunder Force IV, Alex Kidd, and Gain Ground are among the confirmed titles. During a stage show at SEGA Fes, more details about the download initiative were shared. Once the last wave of 3D Classics on 3DS wrapped up, it was decided that it would be a waste to just leave it there. That’s what initially led to SEGA and M2 once again partnering on classic games for Switch. Alex Kidd is included in the lineup due to the game’s popularity on the Virtual Console in Europe. Future releases could be decided by using similar data. You might have noticed that Gain Ground is an arcade game. This won’t be the only arcade title in SEGA Ages. 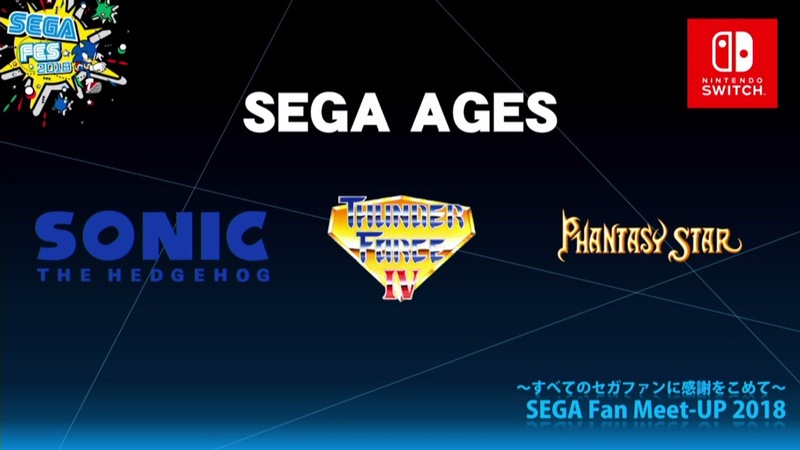 Once again, the initial plan is to produce roughly 15 titles under the SEGA Ages line. However, the lineup could be expanded with even more games. One very important point mentioned is that Saturn and Dreamcast titles could be represented in the future if it goes well beyond the first 15 games. Finally, one last tidbit: Rieko Kodama is acting as producer on the SEGA Ages project. Kodama has worked at SEGA since 1984 and has acted as an artist, director, and producer.